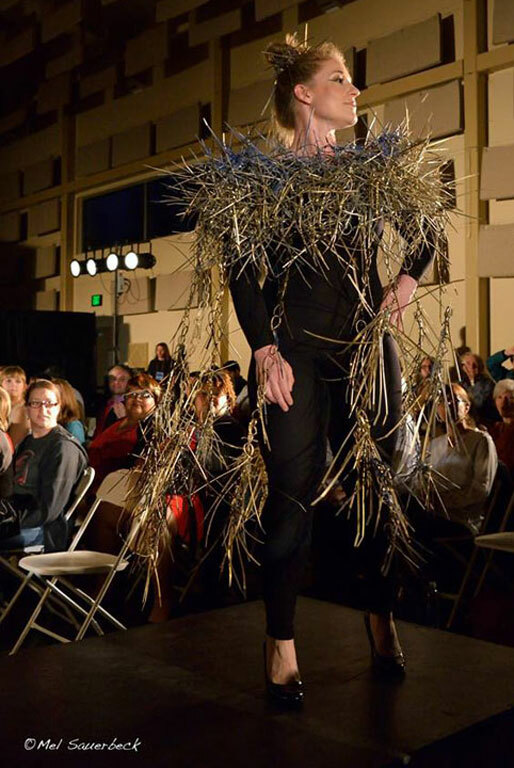 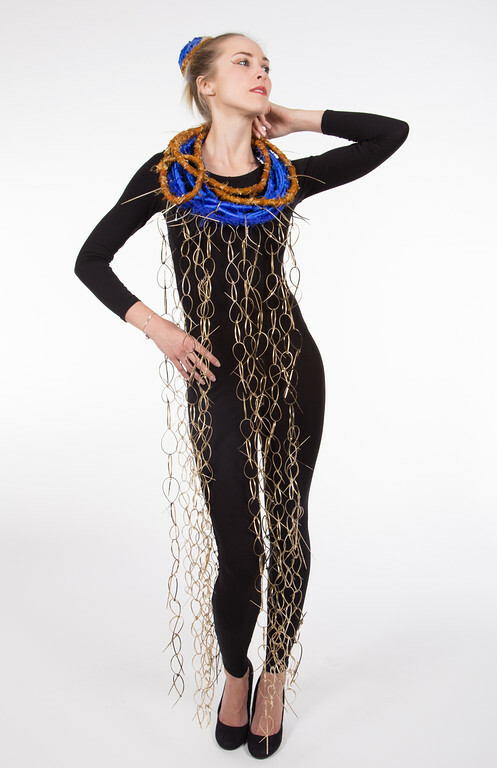 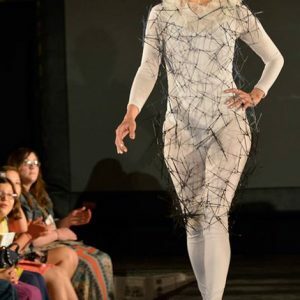 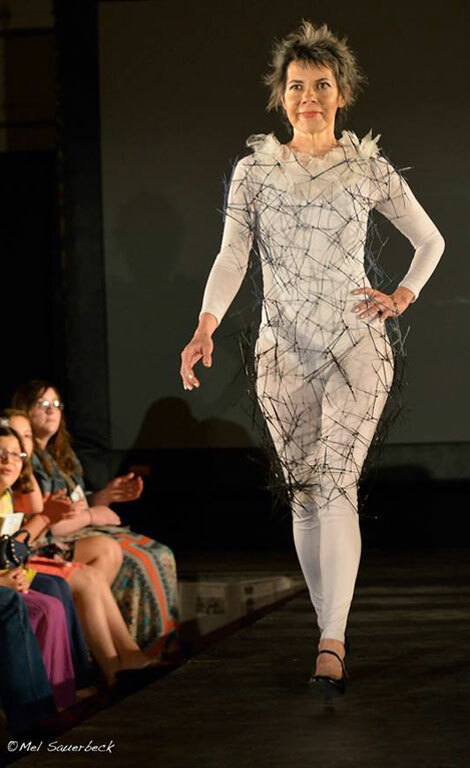 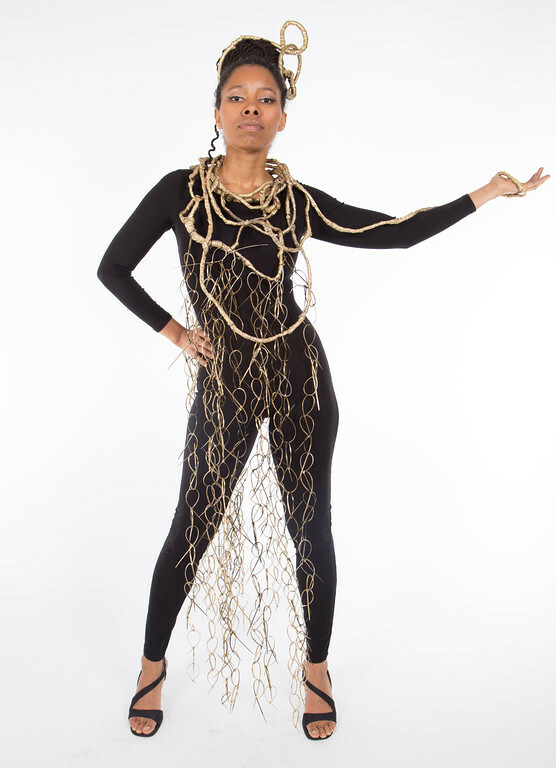 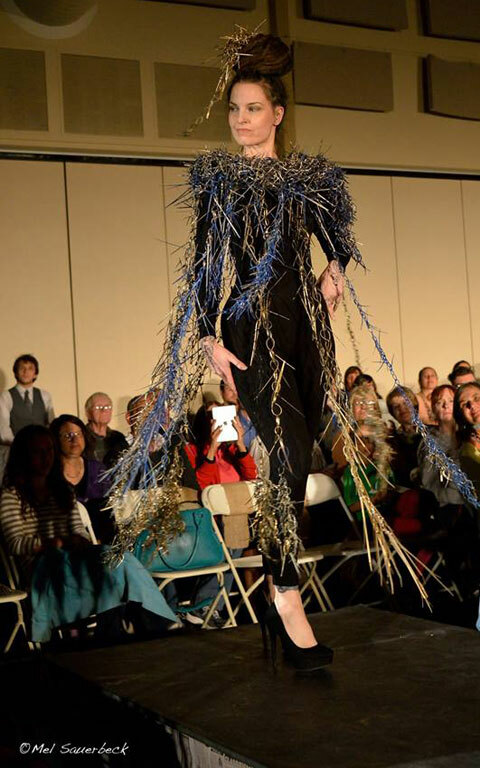 This body of work is based on the line shown at Omaha Fashion Week, March, 2015. 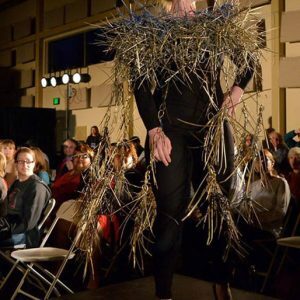 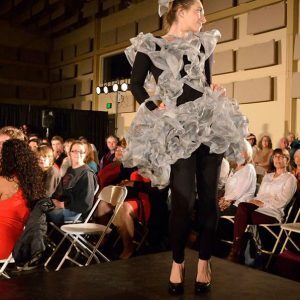 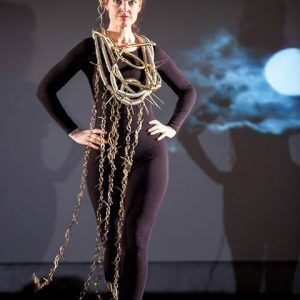 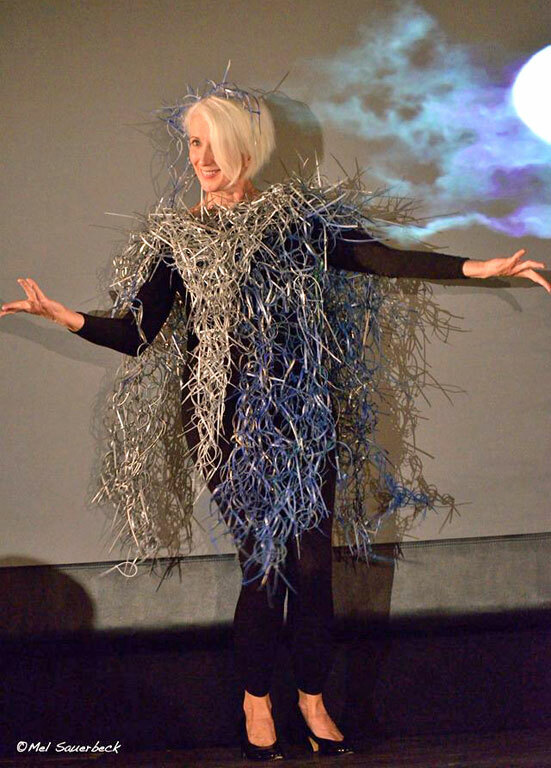 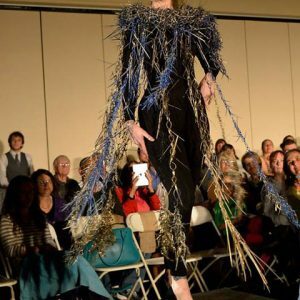 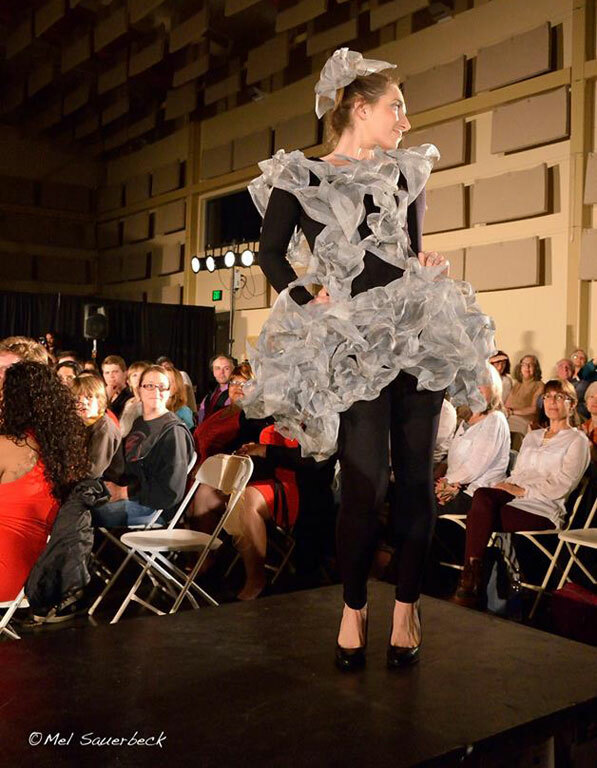 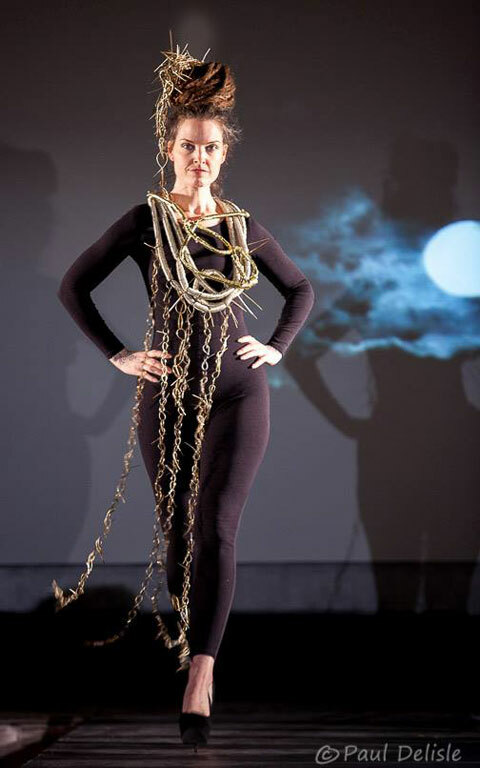 However, by contrast, the EcoJam Fashion Show specifically showcases garments that are environmentally friendly. 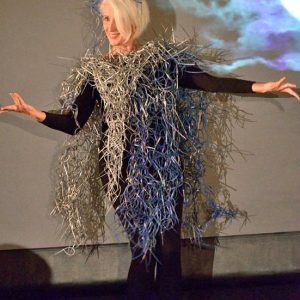 The guidelines are open as to how the designers show their work and many choose to exhibit their line in the form of a short performance on the runway. 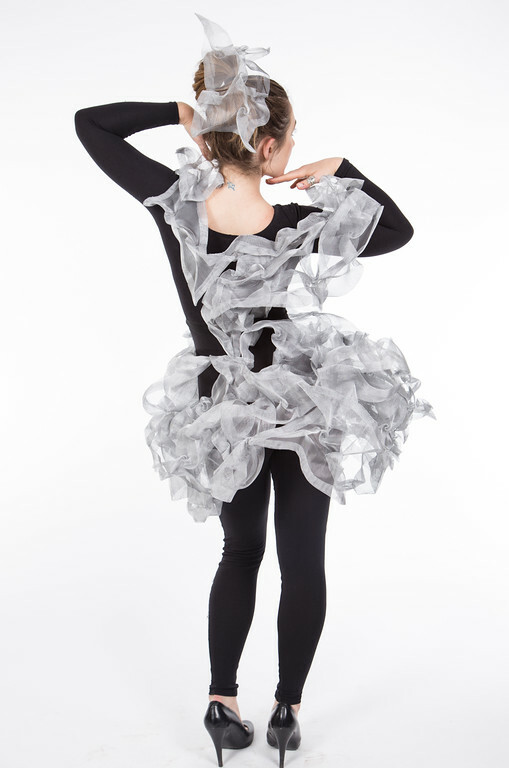 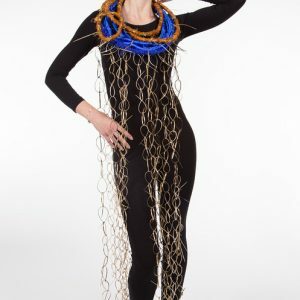 Several of the models for these pieces are dancers and each was given great freedom in expressing her own creativity while wearing her garment.